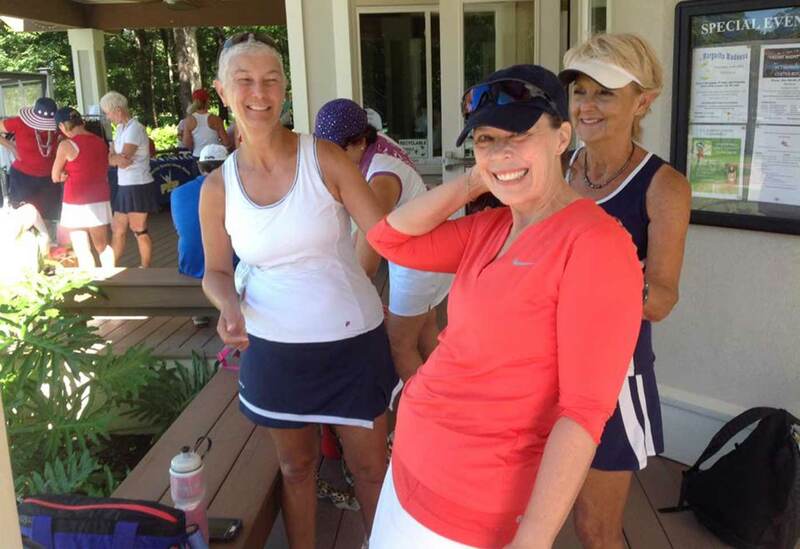 The Tennisclub of the Lowcountry at Rose Hill offers many instructional options and programming to its members and non-members of all ages. Whether it is USPTA lessons, USTA Leagues, Adult and Junior development programming and clinics, or the many social offerings. 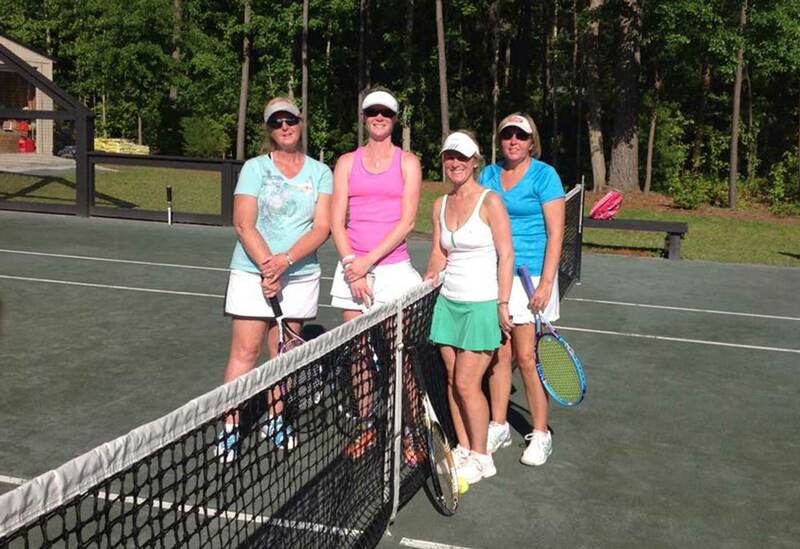 The Tennisclub of the Lowcountry at Rose Hill has a tennis opportunity for everyone. 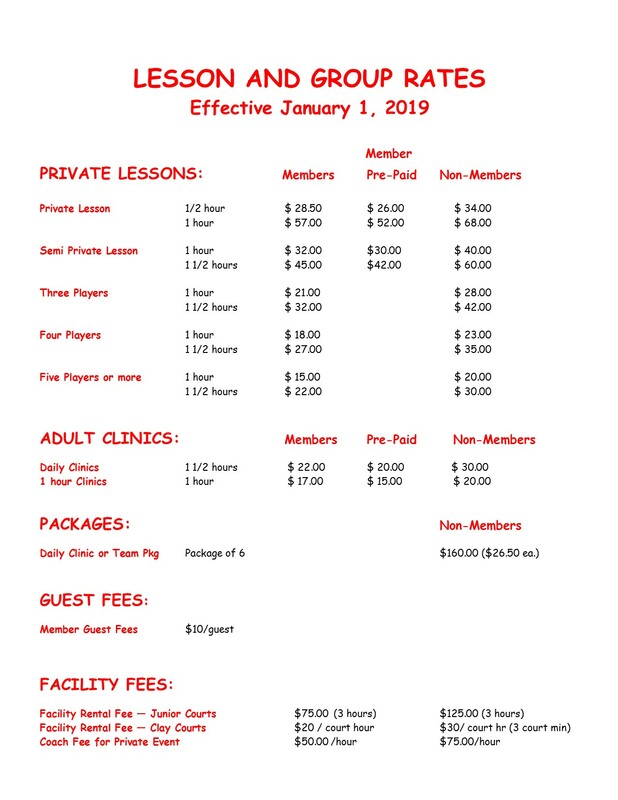 Led by our world class Director of Tennis Gavin Cox, our experienced professionals are available for personal or group instruction. •	League will be 8 weeks, (Rain make-up only if 11:00 matches are completed -- Otherwise No Rain Make-ups. Start Times: 11:00 or 1:00 start times. Location: Tennisclub of the Low Country at Rosehill. Format: Two sets with a 10 Point Tiebreak in lieu of 3rd set. Teams will field (1) 4.0 team (1) 3.5 team (1) 3.0 team each week. Teams needs to have at least 4 players for each level. Maximum of 8 teams. Each player on a team MUST play at least 3 matches. The cost will be $35 for Non-Member, $15 for Members which will cover the cost of court time, balls and luncheon on June 10th, etc. Please make sure you make a commitment to the league—plan on at least 3 or more matches.